Sie befinden sich hier: Startseite / Uncategorized / Neue Apple TV Fernbedienung? 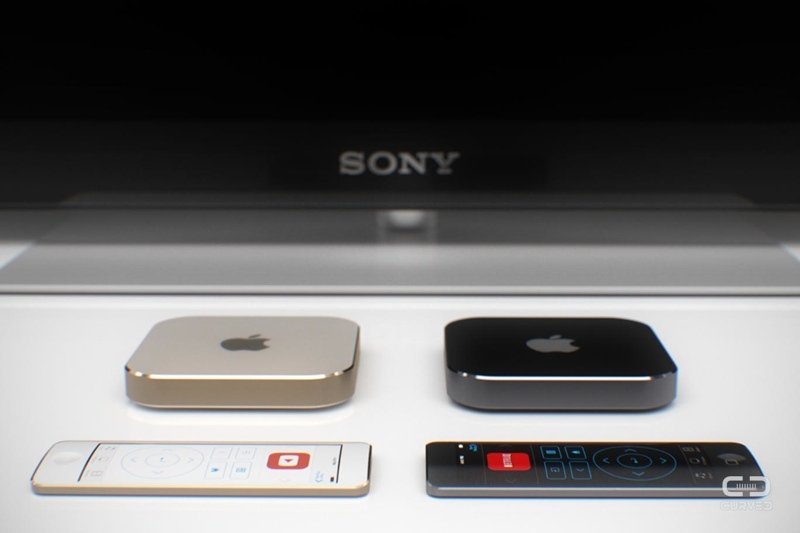 There have been several mockups of the next-generation iPhone and Apple’s much-rumored iWatch, but few designers have tackled what could lie in store for Apple’s upcoming revamped Apple TV set-top box. German technology magazine Curved has explored what the future of the Apple TV could look like, posting some conceptual images of a set-top box that includes iPhone 5s design elements and a touch-based remote. 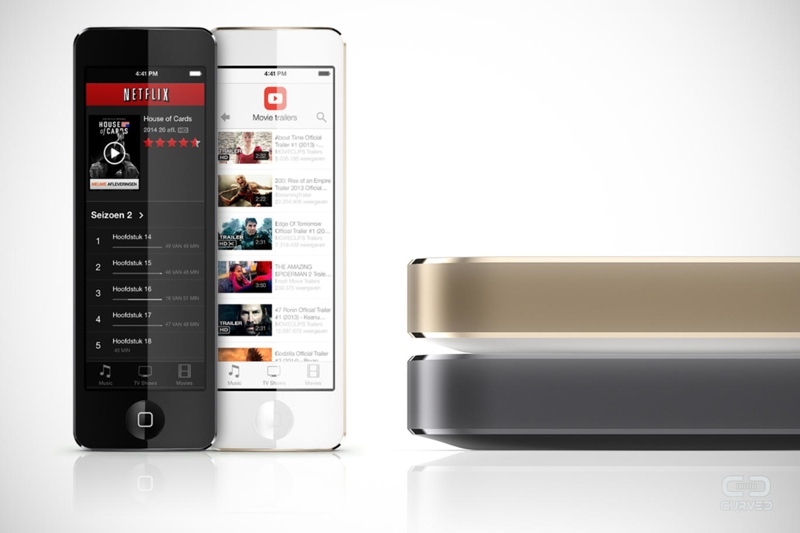 The reimagined remote control features a touch interface that mimics the existing interface of the Apple TV, offering access to specific channels like Netflix along with specific controls for music and playback. The main attraction is the revamped remote control, completely redesigned as a touch device that might be wirelessly rechargeable via Apple TV. iPhone 5 / 5s / 5c are still functioning as remote controls as well. Additionally, a separate App Store for Apple TV should be available. With 9,8 x 9,8 cm, it comes in the same size as the 2-year-old 3rd generation, but will be even thinner with 1,67 cm. We expect models to be available in grey, gold and silver. There has been no indication that Apple is planning on launching a product with a touch-based remote control, but an analyst suggested the company could go in that direction back in 2012. It is also unclear what a redesigned Apple TV might look like, but Curved imagines a new product might retain the existing product’s square shape while adopting some of the features of the iPhone 5s, such as a shiny white or black exterior with gold and slate accents. Rumors have indicated that Apple has plans to release a redesigned Apple TV product in the spring, with a number of improvements including an upgraded processor, game support, and possibly even a full App Store. Apple may also have more ambitious plans in the works, aiming to partner with traditional cable companies to provide additional content on the set-top box.